Cropped flyer drawn for my good friend Pete’s 1991 summer barbecue, the fifth of what had become an annual event. Pete and I had been to the ACM SIGGRAPH conference in Las Vegas that year (the annual event is the big academic conference on computer graphics — we weren’t sponsored to go, we paid our own way because we were interested), which is presumably why the barbie was late that year, and why I drew it in the USA, and why I was seemingly amused by the idea of the (5th) cavalry arriving just in time over the hill. 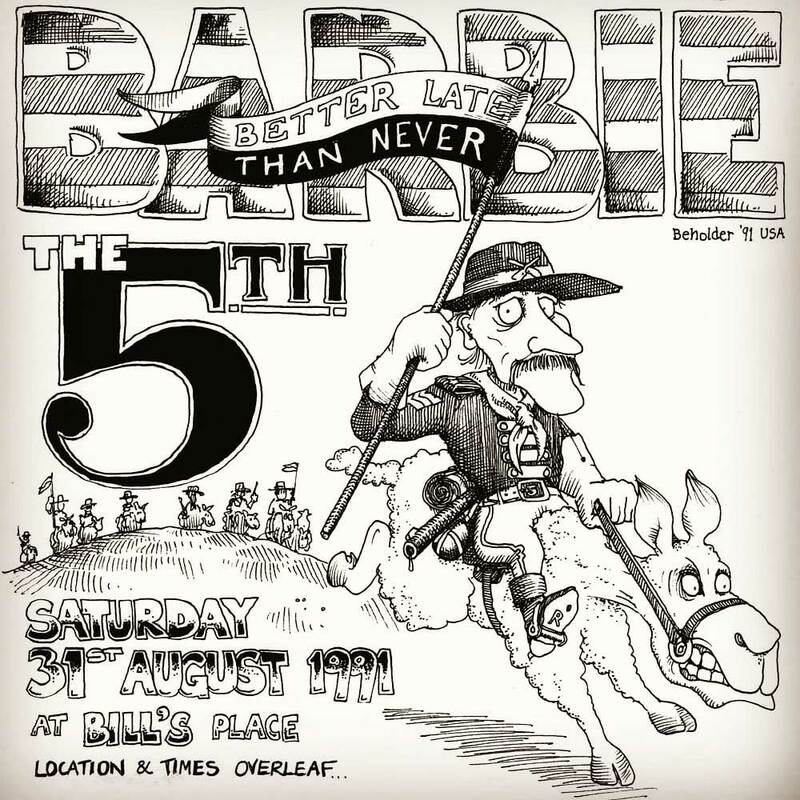 Of course I had drawn flyers for Pete’s barbies for the preceding years too, although perhaps luckily most of those do not seem to have survived.